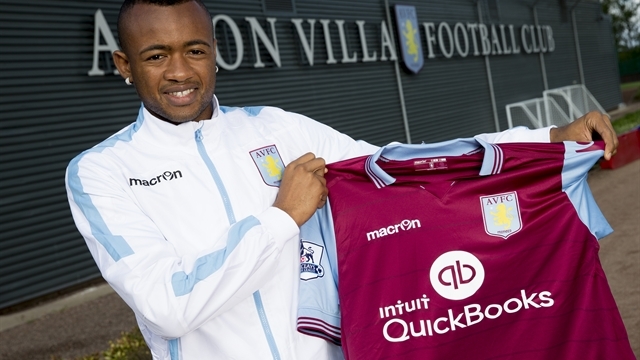 Aston Villa have completed the signing of Jordan Ayew from Lorient. The 23-year-old forward has signed a five-year deal with the Club and joins from French side Lorient for an undisclosed fee. Ayew, from Marseille, arrives at Villa Park following the acquisitions of fellow Ligue 1 players Jordan Amavi and Idrissa Gueye. Manager Tim Sherwood said: "I'm really pleased to bring Jordan to the football club. "He is a fantastic young player who is perfectly suited to the Premier League." Ayew completed his medical at Bodymoor Heath this morning before meeting his new team-mates for the first time.